This post isn’t about the finale of Lost, but how it was made available. The fact that it was shown at the same time in the US and UK I think was a brilliant idea. However, it’s a shame they didn’t do the same for iTunes downloads. 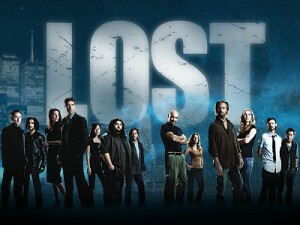 As I don’t have sky in my house, I’ve been subscribed to the Lost series pass on iTunes. Therefore, with Lost being shown on TV early Monday morning, I was hoping it would become available during the day for download so I could watch it that evening. But it didn’t. I saw tweets from the US saying it was available at mid-afternoon UK time. I still hasn’t received an email saying it was ready to download for me though. When I got home that evening, it still wasn’t available for me. I’d quite successfully avoided spoilers during the day, but knew I couldn’t do that much longer, so immediately went looking for other sources to get the episode – one of the things they’d tried to prevent by showing it at the same time! Fortunately, my parents have a Sky subscription, so I was able to use their account to watch it through the Sky Player online (though this experience is by nowhere near great – the player is a bit buggy (I had to use IE as it wouldn’t work in Firefox or Chrome) and the quality isn’t great either). I finally got an email saying the episode was ready to download at 1:45 Tuesday morning. Not too bad a turnaround (if it wasn’t the finale of Lost, I could have waited till then), but it would be nice to see the shows being available to download closer to their air time. As for the final episode of Lost, I would say it was pretty good, though I was a little disappointed by the whole idea when it became clear. a whole lot and don’t seᥱm to get anytһing ⅾone.